Twitter is a funny place. But I know that, I’ve been active on Twitter daily for five and a half years, and I’ve seen enough to make me regret every single day of that time plus most of my life choices that led me here. So when I call out fans on Twitter or social media, I do know what I am asking for as well as the audience that will be receiving me. I didn’t do any of this to be popular, just to share my opinions. I am stubborn enough to keep putting my opinions out there, and I feel that growing up in such a large family as well as working with students with disabilities has equipped me to effectively deal with the children. And when I speak of children, I think right away of the person with the account who gained all of his followers by spreading hate and misinformation and retweeting others’ comical brilliance. Don’t worry, I know all of you follow him, and yes, I do think less of you for it. I don’t fear retribution for saying this, because not only did he insult all of you reading this blog, but he lacks the attention span/ability to read this far. Plus, everything everyone says or does on Twitter is public. Well, except for the poor Tweep with the tiny ego who DMed me after our conversation while I was caring for my sick child, paranoid that I was tweeting about him. Awww… it reminds me of middle school. (Don’t worry, he’s since unfollowed me.) But as I said, everything is public, you only have to look at my timeline and notifications to try to guess how old these people are. Some acknowledged that those two were not exclusively at fault, and certainly not for the red card or the own goal, but then went on to argue that their poor play contributed to/caused the loss and that the rotation of players was all wrong. When I asked people about the rotation, citing match fitness or potential injury as a possibility, given the close proximity of matches, most said that fitness didn’t matter or that Suso and Abate (can’t believe people were arguing for him, a week ago they wanted him gone) should have been rotated vs. Pescara instead. Which is laughable, that not only defeats the purpose of rotation based on the schedule, but Pescara at home is a much more winnable match, better to have a full strength squad. 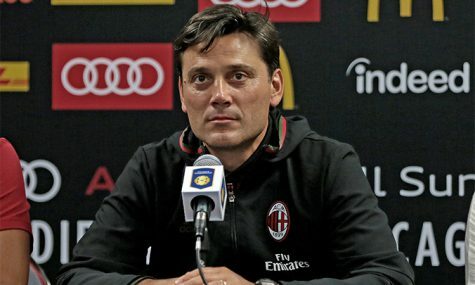 One fan acknowledged that Montella would know best about the fitness, but then went on to cite other players that should have been rotated, despite being completely unproven. Points for creativity there, especially if hindsight is 20/20. But the ones that baffled me most are those who bought into the results by believing that we were playing great tactical football. None of them could tell me what those tactics were that won us all of those games, or even one reason we were playing great football. I gave them my opinions about why we weren’t, and have documented it here after every game this season. But since I have yet to see this “great tactical football,” I am hoping that some of you can explain to me what exactly that was. 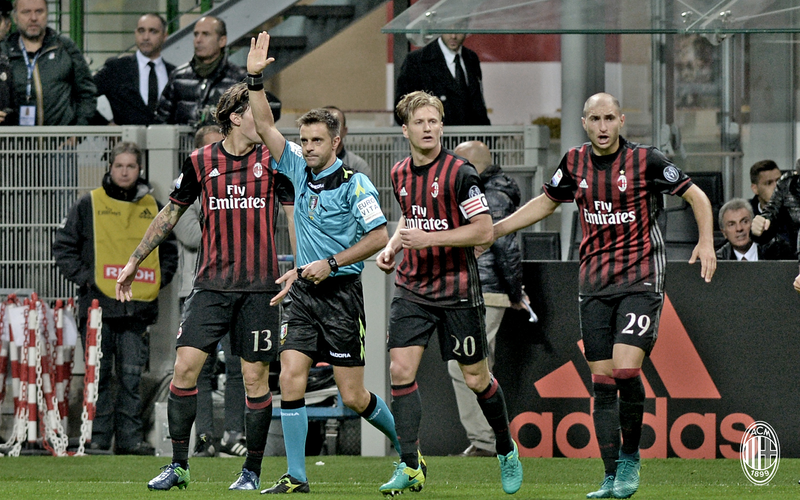 Especially the part that changed so drastically to cause a defeat like we saw vs. Genoa. Please, if you can, please explain what drastic alternate tactics Honda and Poli provided that skewed the original tactics so much. Do me a favor and use the comment section and explain it to me. A very wise friend of mine who plays football told me after the Juve game that Milan were running on “adrenaline and history,” that we had “no business being in second” (as a compliment,) and then said “This isn't ownership or management at this point... it's a club running on adrenaline.” I honestly couldn’t agree more. Between the youth revolution (largely due to injuries,) a lot of grinta, a ton of luck (especially with ref calls,) and some individual brilliance, we got to where we are. But all of those things ran out on Tuesday as we faced a team desperate to win, in a stadium that is really tough. Certainly our previous successes were not from some earth-shattering tactics. Definitely not from Montella’s glorious possession-based tactics that he described so verbosely pre-season. But please, I’m curious. Please explain to me these “masterclass” tactics we’d been playing up until Tuesday, because I honestly haven’t seen them. And please don’t take the easy route and post others’ ideas or articles, I’ve probably already seen them.